Adventure-seeking, fun-loving and active? Wanting to experience MORE in life? Wanting to get that thrill and adrenaline rush flowing through your veins? If you have got what it takes, joining us for a tuna drifting trip is just the right activity for you! Drifting is a widespread fishing technique for catching Bluefin tuna fish in the Adriatic Sea. 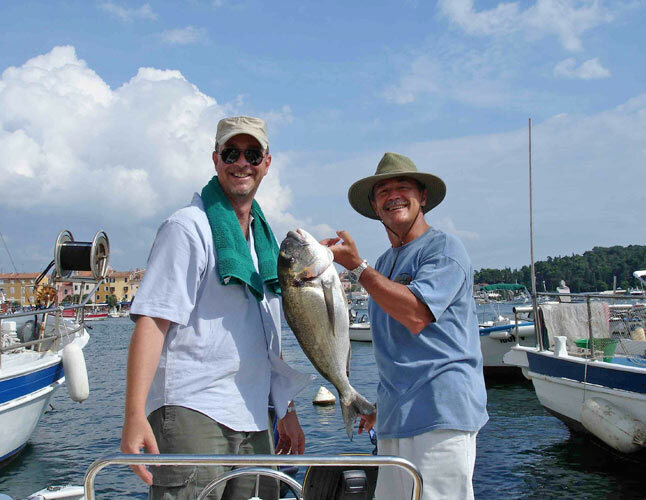 If you are up for an exciting fishing quest in the Adriatic Sea teeming with magnificent game fish, we offer you special excitement through action-packed trips off the prolific coast of Croatia. Big game fishing is perfect for those who want to experience true adrenaline by fighting very large fish (sometimes weighing over 100 kg!) and feel the spirit of the magnificent sea. 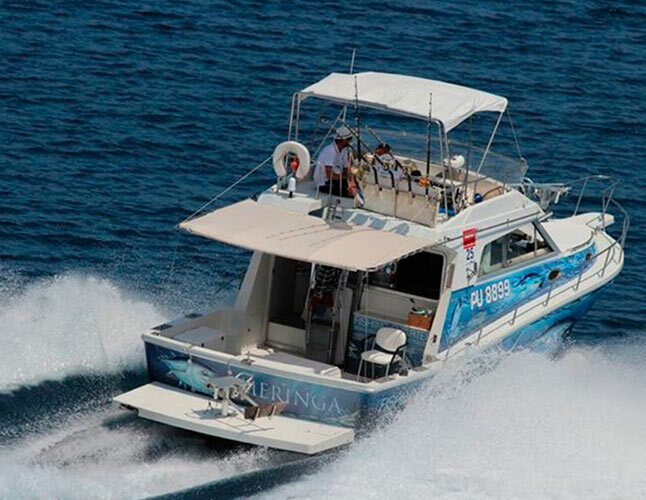 Tuna drifting experience takes place in Medulin, a small town and municipality in the southern part of the Istrian peninsula, located in beautiful nature with scenic pebbly beaches right by the crystal clear Adriatic Sea. First thing in the morning, we will buy fresh sardines for chumming. Using sardines exclusively to catch the big fish on the hook is one of the special characteristics of drifting. When tuna fish takes the bait, it is time to fight the giant from a special chair or standing up. More information and lessons are available directly from our skipper. For practicing this exciting fishing technique, having a suitable boat and necessary equipment is essential. “Meringa” is a 10,5 m long and 4 m wide boat, which can speed up to 20 knots. It can welcome 8 people / fishermen on board, excluding the crew (2 additional crew members, a captain and a sailor). Do not forget: personal items such as towels, hats, sunscreen, sunglasses & adventurous spirit! Like a shiny drop of gold in the Adriatic Sea, Istria is small and precious. From the historical towns of Poreč by the Croatian-Slovenian border to Pula down south, it boasts natural and adventure parks such as Kamenjak National Park and Istralandia, Pula Arena and other historical monuments, churches, museums, as well as cosy little villages such as Grožnjan. 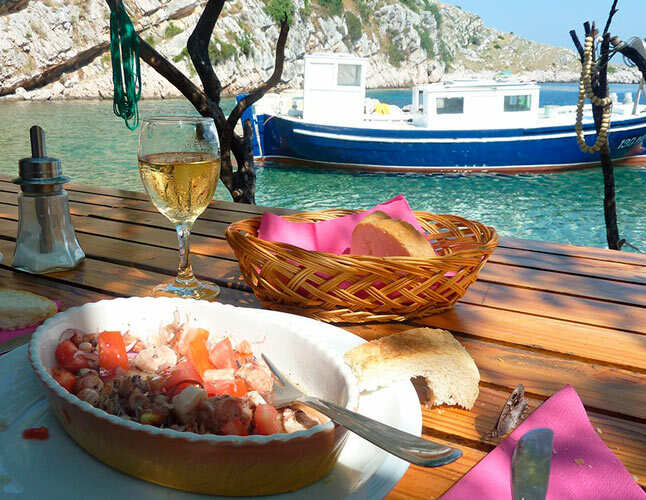 Having fun in Istralandia, exploring the islands, islets and pebbly beaches, swimming, snorkeling and diving, tasting Istrian wine and indulging in finger-licking good culinary specialties, learning about history, connecting with nature…Istria offers all of that and more! Ask us for tips and directions to create your perfect, unforgettable adventure in Croatia. Istria offers a colourful palette of spots for soul-filling trips and experiences. You can visit Pula, Kamenjak National Park in the southernmost part of Istria, Lim Fjord between the beautiful coastal towns of Rovinj and Vrsar (great place for biking, climbing and hiking), Brijuni Islands, or jump across the border to Slovenia and visit Koper, Izola, Piran and or Portorož. Optional: Transfer to Rovinj and back. * Prices may vary depending on the departure point and group size.